Brad is a high end professional. Very enthusiastic and personable as well. Your choice for a strength coach is obvious. I cannot say enough about how your training and kettlebell workouts have inspired me. I feel you are leading a revolution in the training industry and congratulate all those fortunate enough to receive your guidance. I was tired of the health club scene and knew when I saw the kettlebells that my life was going to change. They are exciting, addictive, and body transforming. For those who know they need to do something, I can think of no better avenue than a long term series of training sessions with you. It has changed my life forever for the positive, and I was already in shape. I can only imagine what can be forged for someone who isn't. As a Senior RKC I have the honor of getting to work with a great group at RKC certifications a few times a year. In every group there are always a few trainees that stick out. Brad Nelson is the perfect example. In addition to being an outstanding athlete, Brad is passionate about training and knows exactly how to transfer his passion to others. Add in depth training knowledge to the mix and you have a recipe for an excellent instructor. I highly recommend that you take advantage of his expertise and sign up for his services. When I needed a new way to deliver a fun, effective, challenging workout to my clients, I called Brad Nelson to inquire about kettlebells. I was immediately struck with his good humor, humility, flexibility, and passion for his craft. I hired him to do a 60 minute introduction class and workout. What unfolded was an hour of attentive instruction, motivating energy, smooth transitions, and muscle-building, heart-pounding fun! Everyone involved: professionals, veterans, and novices alike, simply loved the experience. Brad is an excellent trainer who is truly passionate about his work. It is obvious that he loves helping others to achieve their goals. 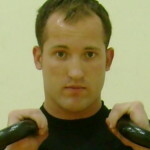 Not only is he a skilled kettlebell trainer, but he is also kind and compassionate toward his clients. Anyone in the Twin Cities area who is interested in improving their health, fitness and performance levels should treat themselves to a training session with Brad --you will be glad you did! "Brad is an excellent trainer who is truly passionate about his work. It is obvious that he loves helping others to achieve their goals. 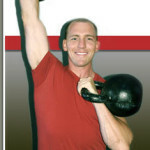 Not only is he a skilled kettlebell trainer, but he is also kind and compassionate toward his clients. Anyone in the Twin Cities area who is interested in improving their health, fitness and performance levels should treat themselves to a training session with Brad --you will be glad you did!" 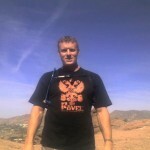 Brad is one of the most knowledgeable physical educators in the business. He has spent years learning and putting together a very comprehensive program. I really like his eclectic approach to fitness and the way he thinks outside the box. He truly gives his clients the very best. As an Old School, Old Guard type it warms my heart to know Brad Nelson is part of the New Guard of superlative physical trainers. A guy as smart as he is strong and even more dedicated to his craft he is a shining example of the next generation of "real deal" trainers. Do yourself a favor and train with Brad. Easy doesn't pay....Unless it is the decision to train with Brad – a skilled instructor who walks the walk of fitness and strength. Motivated and knowledgeable – he is an excellent choice for your fitness and performance goals. A man of principle, Brad Nelson is a coach who leads by example and gets results. If you are looking for a trainer/coach who can take you to that next level you would be wise to higher Brad. As a coach and trainer myself I often consult Brad for his innovative ideas. To be your best you must work with the best. Some trainers spend their time trying to learn about exercise - not Brad Nelson. Brad spends his time learning about something far more important - the human body. Brad has rare expertise that will help you eliminate pain, transform your physique or enhance your performance...often in seconds. It is not that Brad is a magician; he just understands the magic that resides within your body. I recommend Brad Nelson--any other recommendation would be irresponsible. 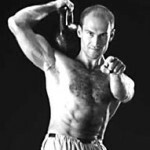 I felt that Brad's Kettlebell Seminar was clear, concise, and gauged at an appropriate level for our class. Having been on staff for Minnesota's top Healthclubs/Training Centers (seventy to eighty percent of the clientele were successful middle-aged women) and also having worked for a local professional sports team, I felt that Brad's non-chalant demeanor/style would fit for any population (beginner to advanced athlete). Here are some specifics that I liked about Brad's Kettlebell Class. 1. Customer Service/Resourcefulness: Brad was there to coach us on our technique before moving on to a more advanced exercise. Brad was open to any questions during and after the seminar and provided resources for pursuing certifications and equipment. 2. Leadership by Example: I never asked myself whether or not I could do the exercises and repetitions involved but just did it. Brad performed the movements and choreography for each exercise as many times as needed and held confidence in our group that would meet our challenge. 3. Biomechanics of Movement: I liked how the movement patterns were safe and focused on initiating from the lower body and core while finishing with the upper body. 4. Efficiency of Movement: For anyone who values their time, this is an excellent way to cross train for twenty to thirty minutes and gain the benefits of a cardiovascular, strength training, balance, and core workout simultaneously. Thank you for your dedication and positive energy! Brad, first off I want to say how much of a pleasure it was to meet you in person. Your knowledge of KB’s and exercise in general is outstanding. As for the course itself, I wouldn’t have wanted it any different. You covered the most important KB exercises from start to finish with the tips that were needed to make sure my technique was right. The ten-minute cardio workout you put us through at the end of the workshop was a definite wake up call. My heart was racing for sometime after we got done. Thanks a lot. In closing your workshop it was nice that you took some time to talk with us each about what we wanted to get out of our future KB training and your willingness to keep in touch with us as we progress. I highly recommend you to anyone wanting more from his or her training and to see the results that only KB’s will give them.